Land Destroyer: Turkey Preparing for Syria Occupation? intentionally across its border with Syria by its own government in Ankara. September 25, 2014 (Tony Cartalucci - LD) - As Western-backed terrorists drive allegedly tens of thousands of refugees into Turkish territory, and amid what is being called a "sustainable, persistent campaign" of air assaults, missile strikes, and other assorted attacks on Syrian territory, the West is preparing to dust off plans to establish a "buffer zone" in northern Syria protected by NATO troops - particularly from Turkey. Land Forces Commander Gen. Hulusi Akar visited Turkey’s military facilities and troops deployed along the Syrian border, where he was briefed by officers in the field. 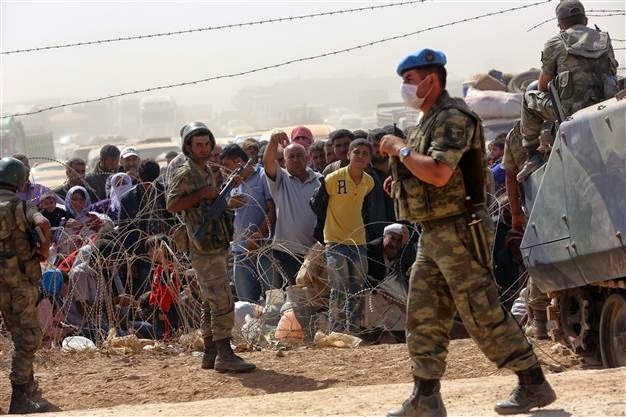 Turkey boosted its military presence along the Syrian border to deal with refugee influx in recent years and with the potential Syrian offensive last year. There are also reports that the army has intensified its military mobility in the region after the Islamic State of Iraq and the Levant (ISIL) attacked the Syrian Kurds in the Kobane region bordering Turkey. occupation originating from NATO territory. 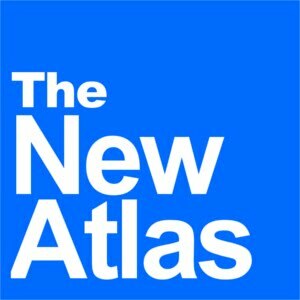 While last year's planned military offensive was to directly strike at the Syrian Arab Army for provocations later revealed to have been false flag attacks carried out against Turkey by the Turkish government itself, it appears that now the so-called "Islamic State," (ISIS) will serve as cover for NATO's extraterritorial ambitions. ISIS, which is neither Islamic, nor a state, is the culmination of years of US, European, Persian Gulf, and Turkish cash, weapons, and semi-covert support. Turkey in particular has served as a safe haven for ISIS terrorists for the past 3-4 years. In fact, maps showing ISIS' territory across the Western media have clearly defined corridors leading directly from Turkish territory. The billions in cash, weapons, equipment, and even vehicles used to build what is now a mercenary force contesting power simultaneously in three nations - Lebanon, Syria, and Iraq - were provided by nations like Saudi Arabia and Qatar and funneled into terrorist hands by US CIA agents operating along Turkey's border with Syria. Despite the rhetorical shell game of renaming this mercenary force to confuse an unwitting public, no other explanation accounts for the scale of ISIS' operations beyond concerted multinational state-sponsorship. If Syria, Lebanon, Iran, and Iraq are fighting ISIS, through the process of elimination, these state-sponsors - whether they admit it or not - can be easily identified. Carving off territory from Syria and creating "buffer zones" was part of the US agenda in Syria for years - long before the threat of ISIS was wielded as a potential pretext for direct US military intervention. ISIS is simply the latest construct being used to implement the strategy. Image: The Brookings Institution, Middle East Memo #21 "Assessing Options for Regime Change (.pdf)," makes no secret that the humanitarian "responsibility to protect" is but a pretext for long-planned regime change. Failing to sell the "humanitarian intervention," the old "War on Terror" has been dusted off and utilized as a pretext. Clearly, a "buffer zone" is the next step for Western designs aimed at exacting regime change in Syria. It is also a step that merely needs a pretext to move forward. In 2012, fabricated border incidents with Turkey were being used to help implement this strategy but failed. Now the threat of ISIS is being used to resell the exact same scheme. Turkish government will ask for the parliament's authorization for military operations in Syria and Iraq, the newly-elected PM Ahmet Davutoğlu said at a press conference on Tuesday. "There can be two different bills depending on the risks in the region," Davutoğlu said. "We hope that the security situation will not deteriorate for Turkey in the region and that we will not have to send armed forces." Turkey will, however, take every means necessary against risks that will jeopardize the country's national security and the region's stability, according to Davutoğlu. Of course, with US airstrikes carving out a vacuum soon to be filled with extremists uncontested by the Syrian Arab Army forced to back off in fear of provoking further Western aggression, the situation will undoubtedly "deteriorate." Just as Turkey staged false flag operations along its border last year in attempts to trigger a war with Syria directly, and by supporting terrorists resulting in a predictable humanitarian catastrophe now spilling over into Turkey' territory, the vacuum the US is intentionally creating is meant to be filled with terrorist mercenaries and NATO forces to protect them as the front is inched ever closer to Damascus in the form of a "buffer zone." The only way for Syria to prevent this from happening is for it and its allies to quickly assemble tactical, strategic, and political means with which to fill the void in eastern Syria to prevent the West's "sustainable, persistent campaign" from taking root. Because if this campaign does take root, any attempts by Damascus to retake territory the West and its terrorist proxies are operating in may trigger a direct confrontation between the US and Damascus - the ultimate provocation the West is searching for to conclude its long-stalled plans for regime change in Syria. Long-term US operations in Syrian territory, with or without Turkish forces involved, could still be turned into a trap by Syria and its allies. By avoiding provocations and direct military confrontation with the West, Syria can use proxy forces to ensnare the West in yet another protracted and costly quagmire. Such a strategy would require building up enhanced deterrence against further incursions toward vital Syrian population centers along with immeasurable political patience. The West will be left with further delays and complications, as well as immense costs that will become increasingly difficult to justify before an already war-weary Western public.